Ex SNOW LION took place in the Cairngorm Mountain Range, Aviemore, Scotland over the period 2 – 11 Mar 18. Traditionally, Ex SNOW LION had only been open to all service personnel based in Scotland. However, after a review the Championships has widened its field, opening the event as a UK wide ‘Foundation Snow Sports Competition’, using the fantastic facilities that are here in the UK, this proved to be a huge success and saw new teams entering from the RAF and the Armed Forces Para Snowsport Team. 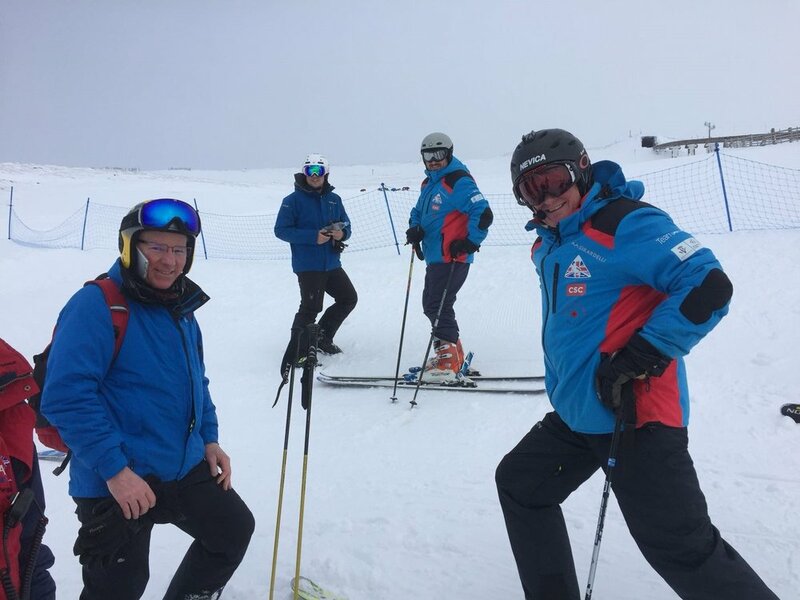 Ex SNOW LION has been opened to unit teams made up from skiers, snowboarders and telemark skiers who have not competed in Divisional championships or above, but have had some skiing experience on snow either racing or recreationally. This event has provided a fantastic opportunity for units to start to develop their ‘B’ teams, female teams or development squads in a competitive environment without the expense and organisational burden of travelling abroad for several weeks. Coupled, with creating an ideal first step for those units who may not have a snow sports background, to offer the opportunity and gauge interest and talent for potential future entry at Divisional level, hence why Ex SNOW LION was conducted post Divisional, Army, Inter-service competitions and Corps Championships. The event consisted with the first 1-2 days of technique and race training through gates in the discipline of GS (and slalom for skiers) under race coaches. Followed by the next 4-5 days of racing including seeding GS and team and individual competitions (which encompassed the snowboarders). The final day concluded with a fun element, parallel slalom competition, ‘have-a-go’ trail session, which also included the snowboarders. Accommodation and feeding for all teams was the well-appointed and recently renovated Rothiemurchas Lodge (bargain at £18ppp), which was a 10-minute drive to the ski centre and Funicular railway. Ex SNOW LION in its new format has provided an excellent opportunity for units to start developing their young soldiers and snow sports racers of the future. There is still lots of work to be done in promoting this event to improve participation for 2019. Therefore, to capitalize on the success of this year’s event, if you think this is something your unit or Corps would be interested in, please keep an eye on the AWSA web site and MOSS site or contact any of the snow sports secretaries to find out more.